Toaster ovens can successfully bake almost anything you can bake in a regular oven. The best part is that a toaster oven doesn’t heat up your kitchen--especially advantageous during the hot summer months. 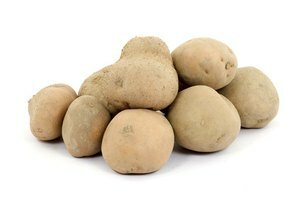 You can even bake several potatoes at a time--place the potatoes in the oven so they are not touching each other. Wash potato. Wash well under running water. 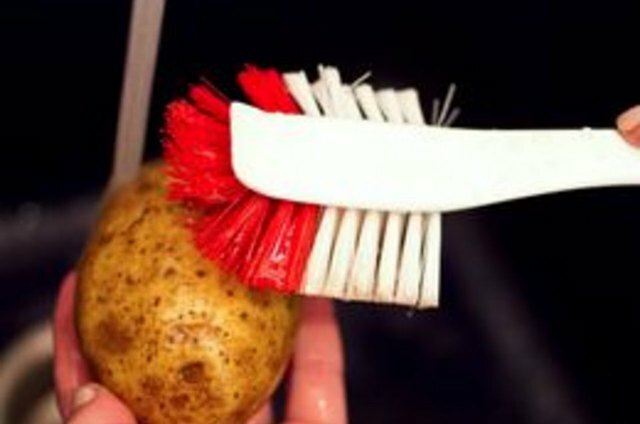 Use a vegetable brush and make sure to remove any particles of soil. Blot dry with paper towels. Make vent holes. Lay potato on counter. Hold firmly with one hand. 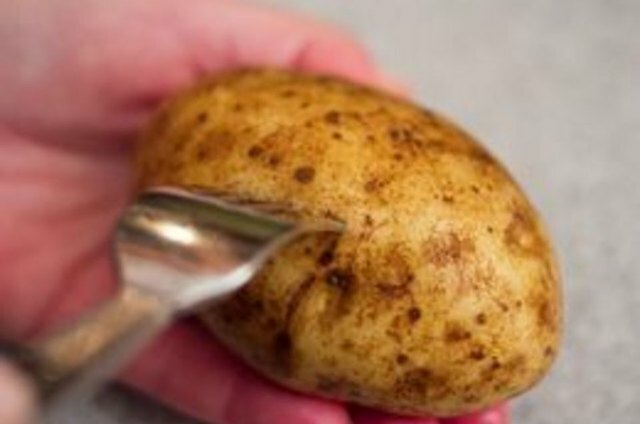 Poke with fork in several places, then turn potato over and poke in several places on other side. Bake. 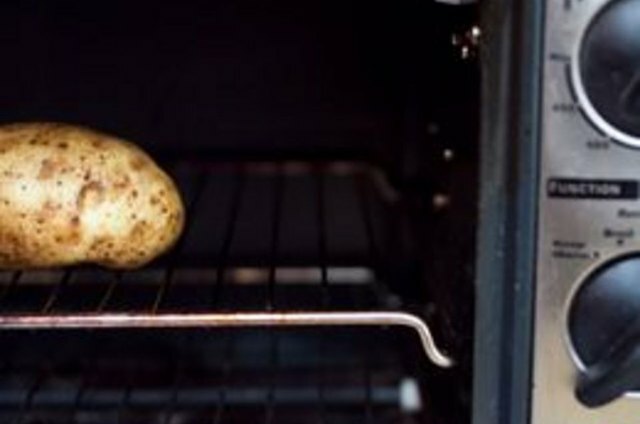 Place potato directly on rack of toaster oven. Bake at 400 degrees for one hour. Check for doneness. 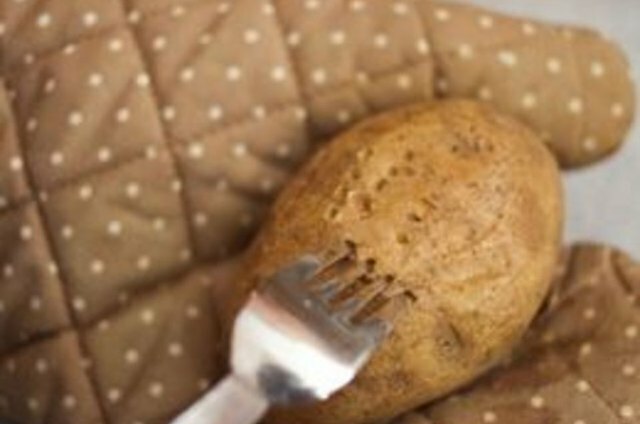 Using pot holder, remove potato from toaster oven. Test by inserting fork. 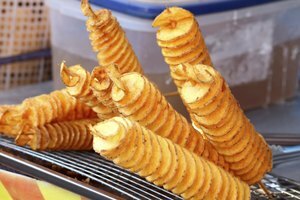 If potato is done, the fork will go into potato easily. 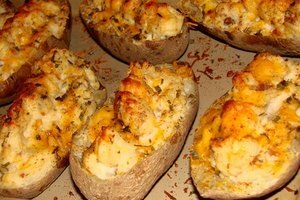 If you meet resistance when inserting fork, put potato back in for another 10 to 15 minutes, then test again. Vent steam. 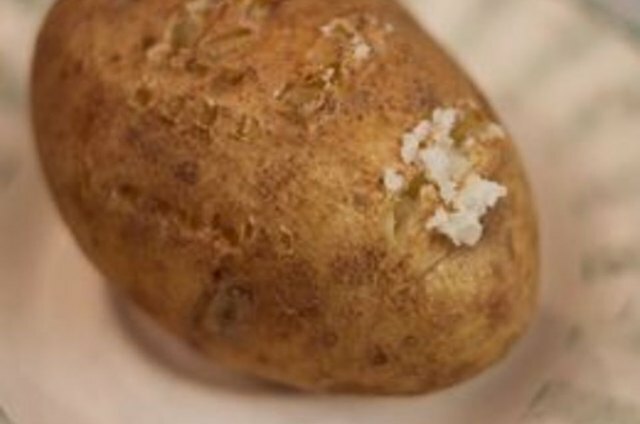 When potato is finished, poke the fork into the top of potato several times to allow steam to escape. 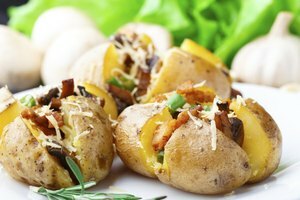 This will make the potato dry and fluffy--the perfect consistency for a baked potato.